At CEDIB, we understand information to be a human right. Because of this, we have spent nearly 50 years gathering, copying, systematizing, analyzing, and distributing information about Bolivia. We provide our services to educational institutions, researchers, the media, social organizations, governmental and non-governmental organizations, and the general public. We make information about our national reality available to the public in order to construct memory and critical analysis, and to promote spaces where issues that affect the structure of Bolivia are debated. Information provided to the public increases participation in and strengthening of the democratic process, and contributes to a culture of peace and long-term sustainable development. Our archive is unique, preserving the last forty-five years of nationally circulated newspapers. 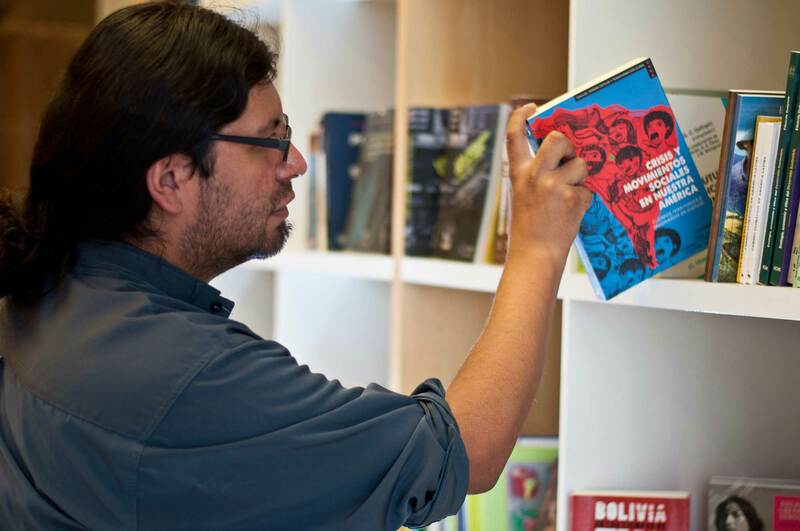 We have more than 11 million records, classified into more than 500 topics, as well as a print and digital media library, all specializing in Bolivian and Latin American social issues. Because of this work, we have been recognized as a Historical Heritage. We generate critical knowledge and information that defends natural resources, political participation, and studies of urban issues both in Bolivia and in the region. Our work supports and accompanies the political action of social movements and is published in the form of magazines, books, documentaries, CDs, radio programs, and pamphlets. We promote spaces and systematic processes of political education, strengthening bonds, knowledge sharing, and collective action among social organizations in Bolivia. The themes we specialize in also include education in methods of alternative communication. We channel the social demands and proposals of the public in order to create structural transformation in Bolivia, based on permanent interaction with social movements. We achieve this through our publications, social networks, the mass media, and spaces of exchange in Cochabamba, Latin America, and throughout the world. To maintain and support our work, we have created a bookshop specializing in social issues. We provide national and international materials on struggles and resistance movements, ecology, history, extractivism, the classics, cities, indigenous peoples, politics, feminism, critical economy, and Bolivian studies, among others. We also have a special children’s section, providing alternative materials for boys and girls from zero to a hundred years of age. Your patronage keeps the historical memory of Bolivia alive.